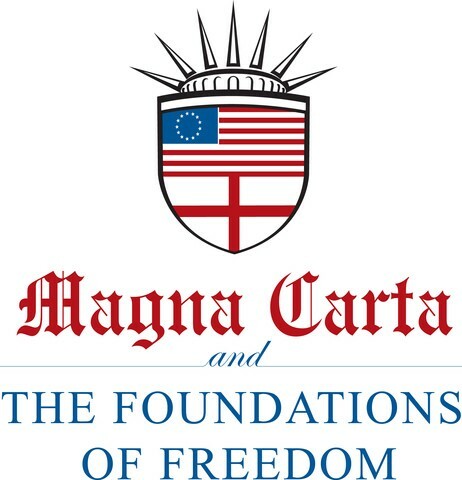 Symbolically, the Magna Carta marked a long-standing movement toward broader applicability of rule-of-law (Kings and Nobles not immune to rule of law) and people’s rights (rights for everyone, not just the elite). By providing stronger assurances regarding property rights and rule-of-law, this movement changed economic incentives in favor of investment and growth which ultimately, hundreds of years later, led to the UK’s Bill of Rights, the industrial revolution, and a vast improvement in the human condition. Similarly, highly decentralized networks are providing an open foundation with strong assurances for objective property rights, impersonal rules and consistent enforcement. An important difference, however, is that with the Magna Carta, the powers on high decided to relinquish some of their privileges and rights — first to nobles and elites and, eventually, to everyone. In contrast, highly decentralized networks are constructing these rights in reverse — starting from the ground up with the “every-man”. These networks don’t ask for the king’s permission to exist and facilitate the rights they offer — they simply are. A profound implication of some highly decentralized networks is the opportunity, at scale, to deliver stronger assurances than even the largest nation-states today — and in doing so to offer a robust, digital foundation for economic growth. First, what do we mean by “strong assurances”? Simply put, “strong assurances” means “the rules are the rules” and they will be enforced consistently and objectively. In practice, we’re also talking about defining and enforcing property rights: Your exclusive right to determine the use of a good, earn income from the good and to transfer the good to others. Said differently, strong assurances are valuable in that they de-risk economic activity and, consequently, encourage growth. If it were an actionable trade, investors would have been handsomely rewarded by “going long” jurisdictions that offered strong property rights over the past 100 years — these jurisdictions account for most of the world’s economic growth over the same period. 1. Reducing the risk of expropriation: More likely to invest time, money and labor when the fruits of such efforts are less likely to be seized unexpectedly. 2. Reducing the risk of unfavorable rule changes: Investors and operators are more likely to invest and build when the rules of the system are less likely to shift beneath their feet. 3. Reducing the cost of protecting assets: If ownership is ill-defined, participants must allocate greater time and resources to engaging in activities that might subsequently define ownership (or risk that others will). For example, if private keys define ownership, then users can focus time toward securing private keys (instead of myriad activities that might subsequently redefine ownership). 4. Increasing the opportunities to realize gains from trade: With clearly defined and publicly recognizable property rights, owners can engage in contractual arrangements for the asset and more fully utilize the asset to maximize value production. As we move to a world where people increasingly build in the cloud, economic activity will migrate to a digital equivalent: an accessible digital foundation that offers strong assurances and consistently enforces clearly defined (digital) property rights. Such a platform will be increasingly valuable as the frontier of economic activity pushes further into the digital world. Considering there’s billions of dollars and millions of man-hours dedicated to building the parallel world of crypto-finance, the foundational platform(s) — the highly decentralized networks — that underpin it all are mission critical. The networks that attract and retain builders in the medium to long-term will be the ones that deliver a track record of strong assurances — a track record of consistent and objective rule enforcement. Historically, strong assurances of this sort have only been possible via strong and credible central authorities that commit to defending stated rights and rules with vast resources (e.g. powerful nation states). Interestingly though, once we depart from a strong centralized authority, strong assurances might only be possible at the other end of the spectrum: via highly decentralized networks. The middle ground — quasi-decentralized networks — will likely be co-opted by economic and social pressures in such a way that they present an inferior option (weak assurances) relative to both centralized and highly decentralized alternatives (more on that here: The Long Game in Crypto- Why Decentralization Matters). Bitcoin, for example, offers a self-contained, reliable foundation for property rights in a digital world. The Bitcoin network is a rules-based, self-arbitrating court — it’s likely the fairest, most transparent and most predictable court in the world. This is due, in no small part, to the fact that the Bitcoin network intentionally limits its scope to enforcing a minimal set of functions. This deliberately limited network scope offers participants greater predictability in the outcome and enforcement of network activity: Valid transactions are clearly defined, objectively identifiable, and unerringly enforced by the network. In this way, the Bitcoin network is a decentralized institution that defines, monitors, and enforces property rights. It is a reliable foundation of strong assurances on top of which we can efficiently architect arbitrary degrees of complexity and allow innovation and economic growth to flourish. Ultimately, strong assurances are fundamental to human progress as most economic growth has gravitated toward and emanated from jurisdictions that offered strong property rights coupled with consistent rules and enforcement. · Global in nature: The strong assurances offered by highly decentralized networks like Bitcoin are global in nature (whereas, historically, strong assurances have been limited by geography and citizenship). · Clearly defined: The Bitcoin network’s rules are clearly defined whereas most historical rights and rule-sets have left ample room for subjective interpretation — an additional element of risk. · Perfectly Enforced: The Bitcoin network enforces its rule-set objectively and unerringly — something every justice system ostensibly seeks to accomplish, but none have delivered on. In the end, highly decentralized networks like Bitcoin offer a fertile foundation for economic growth in the digital world and will likely be important underpinnings of our increasingly digital economy. Much like how, at the turn of the 20th century, jurisdictions that offered strong assurances for economic activity were at the center of innovation and growth, so too will highly decentralized networks like Bitcoin that offer strong assurances prove to be fruitful for growth and development of the digital world. Claessens Stijn and Luc Laeven. “Financial Development, Property Rights, and Growth.” Journal of Finance. 2003 December: 58(6): 2401–2436. Kerekes, Carrie and Claudia Williamson. Unveiling de Soto’s mystery: property rights, capital formation, and development. Journal of Institutional Economics. 2008 December: 4(3): 299–325. Acemoglu, Daron and Johnson, Simon and Robinson, James A. “Institutions as a Fundamental Cause of Long-Run Growth”. Handbook of Economic Growth, Volume 1A. MIT.